The Louis Bachelier Fellow committee is created to stimulate exchange of knowledge and cross collaboration between professional and academic actors in Economics and Finance. There are currently 42 nominated Louis Bachelier Fellows. Why was the Louis Bachelier Fellows community launched? The Louis Bachelier Fellow committee brings together researchers and practitioners. 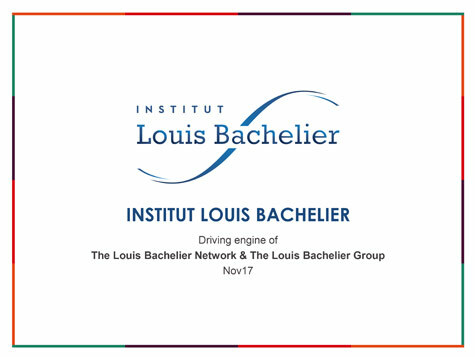 Fellow members are part of a community of researchers and practitioners within Economics and Finance that are personally recognized for their involvement with one or more of the four underlying transition areas currently in focus at the Institut Louis Bachelier: Finance, Demography, Energy and Digitalization. A peer-to-peer exchange and support community that allows Fellows to develop at different stages of their careers, whether they be researchers or practitioners. A means of opening up research and disseminating the results to the general public, the media, and public and private decision-makers at an national and international level. A forum for debate and forecasting that seeks to generate and identify new topics and areas for research. The Louis Bachelier Fellow committee fosters transversality, multidisciplinarity and transdisciplinarity in themes and research methods. Every year, Fellows are invited to identify themes and research topics with regard to which they meet at a realistic and convenient frequency, time and place. These gatherings take different formats depending on the particular initiative concerned. In organizing these events, the Louis Bachelier Fellows benefit from the help of the ILB, making available to them manpower, publication formats, communication resources and infrastructure. On a regular basis ILB also organizes meetings sponsored by a Professional Fellow at a corporate location. How does one become a Fellow? Every year, the academic Fellows are invited to nominate up to two researchers/scientists. Professional Fellows nominate up to two professionals. Voters can choose up to two thirds of the number of candidates. A distinction is made between blank votes and abstentions. A blank vote is deemed to count as a vote. Candidates who have been named by at least two-thirds of the votes are admitted, subject to those casting a vote numbering at least half of the total number of Fellows. Fellows may decide to favour researchers in certain fields, or on the basis of other criteria. Fellows may also be encouraged to propose professionals in order to ensure a balance between professions and sectors. Initially appointed for four years, Fellows may be re-appointed at their request on the basis of a particular activity or value to the community. Each candidate will provide a CV and a short statement as to why he or she wishes to become a Louis Bachelier Fellow. This core group is made up of academic Fellows and professional Fellows. Membership is purely operational and does not entail any privileges or future communication. The Fellow group is a committee of researchers and practitioners engaged in the Louis Bachelier Network and Group. Fellows are expected to contribute to the influence and development of both. Participate in the annual appointment process for new Fellows. Vote for the best young ILB researcher. Participate as much as possible in events organized by the ILB on themes and topics of specific interest to the various Fellows. Specify their status as Louis Bachelier Fellows in their CV and, as far as possible, their publications. Help identify new themes and research topics likely to structure meetings and the exchange of ideas among Fellows. Contribute to and participate in conferences organized by the ILB or its Chairs. Contribute to the creation of a new Chair or become its holder. An nominated group of Fellows is responsible for scheduling actions and ensuring that the appointment process is respected. This group is also in charge of representativeness and ways to reinforce the committee. (Active members of the EIF Professionals Group for at least two years).